Planning how to teach guided reading can be an intimidating task in the beginning. My first year of teaching, I was extremely nervous that I was going to fail. I had never taught a child how to read. Would I be able to do it? While I was far from perfect and had lots to learn, I ended up finding joy watching students take flight while reading. 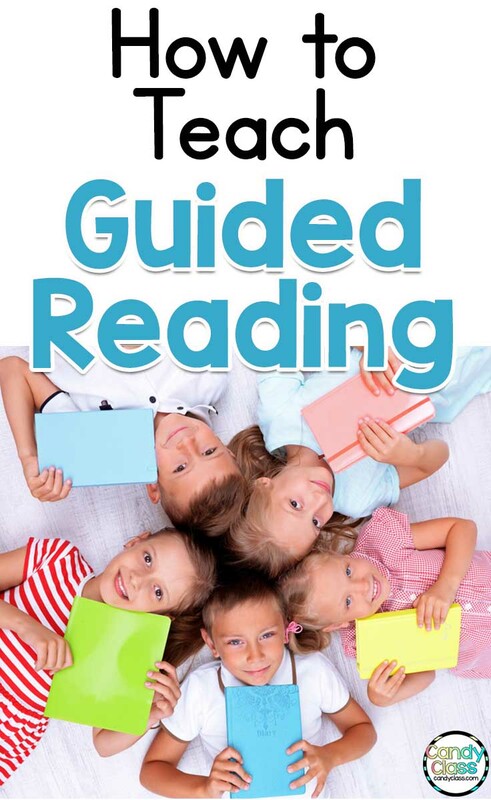 Without a doubt, guided reading is my favorite thing to teach, so I am going to share today how to teach guided reading. I will also include some tips and ideas that can be helpful to those looking for ways to improve their guided reading teaching skills too. Before I jump in, I want to mention that I am a firm believer that students should read for the majority of guided reading. Other activities are to support their reading growth, and those should be short and sweet. 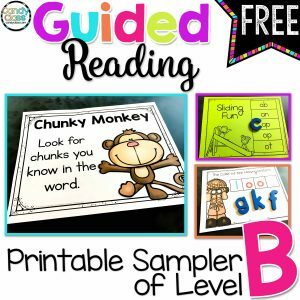 To show you how to teach guided reading, I am going to show you the framework by going over each component of a guided reading lesson, with tips and resources for each. Before you begin to plan, keep in mind that prereading activities should be kept to a minimum of 5-7 minutes. The goals of prereading activities are to get students engaged with the text, teach new words, and review or introduce sight words that will help support them during reading. 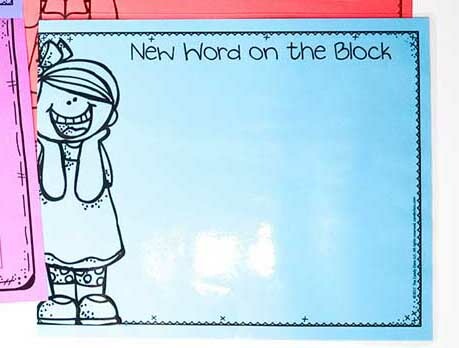 Whenever there is new sight words to introduce from a book, this is the time to do that. 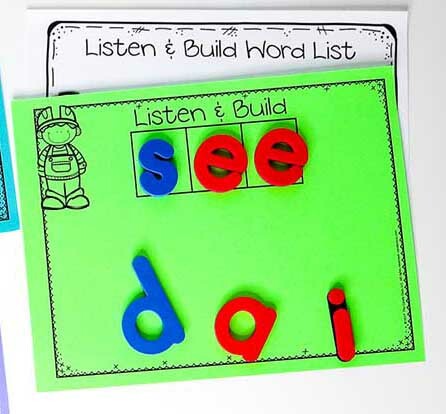 If you are retargeting sight words from a previous guided reading lesson, you can review those sight words during this time as well. That will allow students to notice the words you just reviewed as they read. 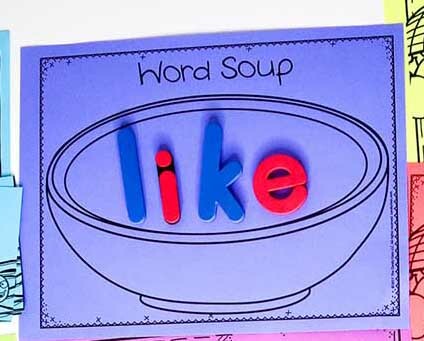 One way to review sight words is to have students mix up the letters of a word in a soup bowl and put them back together. 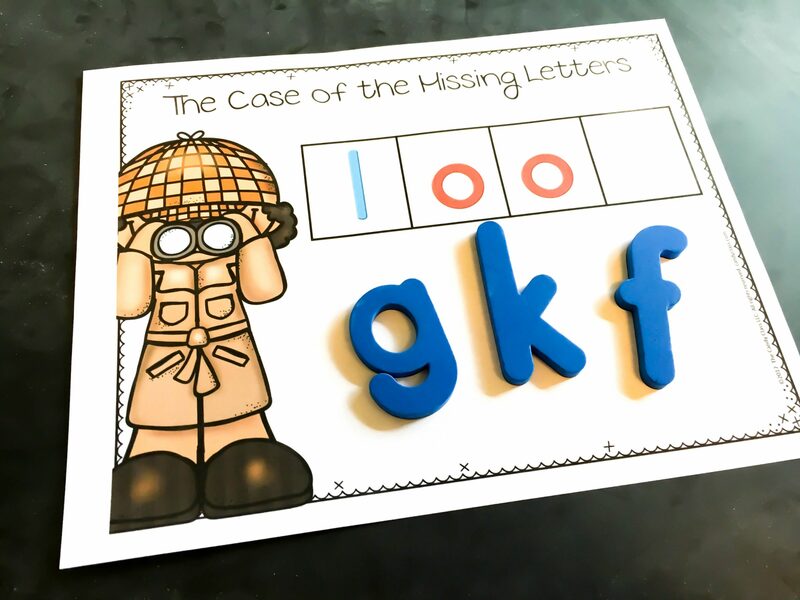 Another activity is to have them look for the missing letters. It is also helpful to have the students write the sight word. Additionally, it is a good idea to introduce new vocabulary during this time too, but remember to get to the reading. Don’t plan to do all these activities in one lesson. Completing one prereading activity will do, so keep the words you review to a minimum to stay on track with the time. You also want students to get acquainted with the book. Asking students about the topic, taking a picture walk, or having students make a prediction about the book based on the cover are some ways to introduce the book. If students will be reading the book again later, asking reading comprehension questions, such as questions about the characters to peak the student’s interest in the story. While I have heard some teachers say to teach the reading strategy after students read, I believe it makes sense to teach it before they read. This gives students the opportunity to apply it while it is still fresh in their mind. Would you remember to apply a newly taught skill the next day? Probably not. Teaching the reading strategy first means they will have a chance to apply it meaningfully. Being able to apply a concept immediately, always encourages successful retention. Reading strategy explanations should only take about three minutes. You want to introduce the strategy, model it, then have the students practice it quickly. As you can see, teaching the reading strategy does not need to consume the lesson. The key is to hop back and review that reading strategy every now and then to reinforce it. Pun intended. The best way to provide a visual to support the reading strategy is to use a poster or anchor chart. 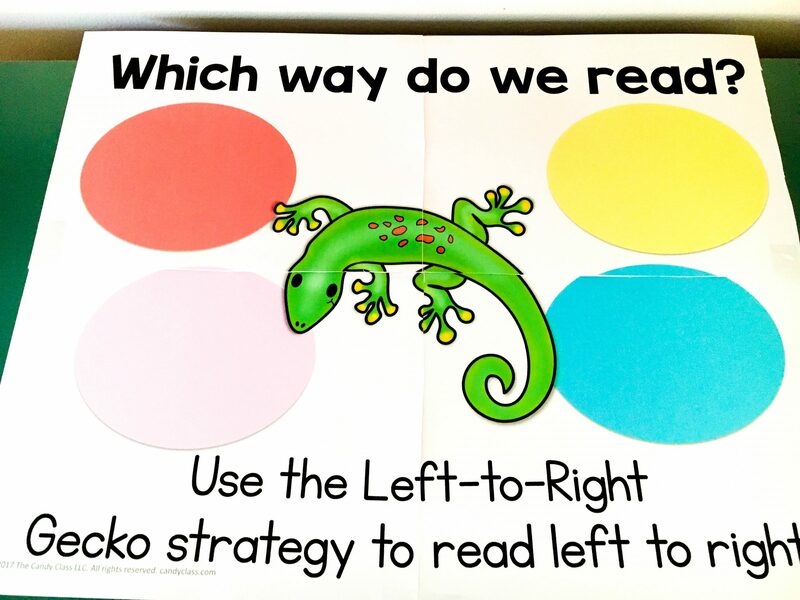 Posters can display the reading strategy as you teach it. These are also good for reference while reviewing strategies. An anchor chart can ask a question to get students thinking, and their responses can be recorded too if desired. This activity with the anchor chart is great for introducing reading strategies for the first time. 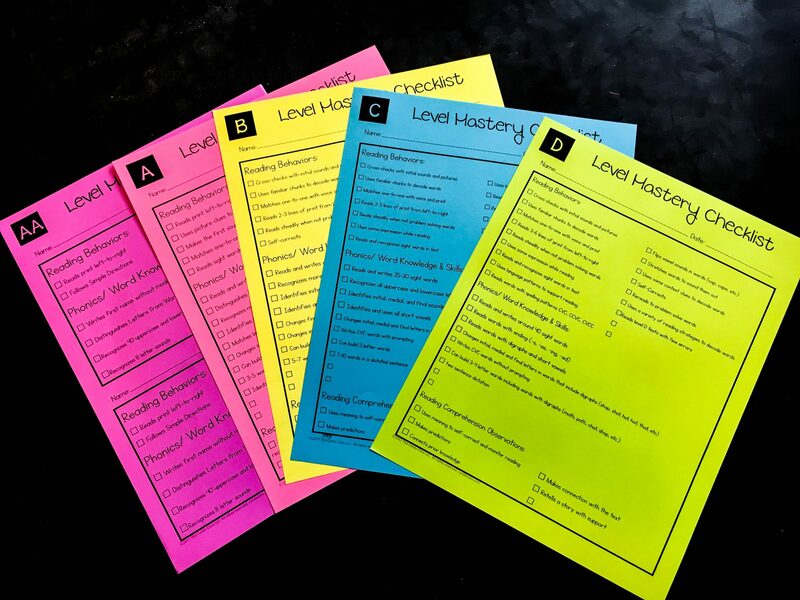 It is handy to have some prompts on hand for reading strategies, so you know just what to say to quickly guide students to apply that strategy. Remember, don’t take over their independent reading with a lecture. A quick prompt is all that is needed to redirect. Performance assessments during guided reading are to simply observe students as they read and record it. Checklists and running records are the two assessment tools to use for this. Performance assessments will let you evaluate students and their reading levels, saving you a ton of valuable guided reading time. They also tell you when your student is ready to move on to the next reading level. Now sadly, sometimes schools want us to apply several formal assessments that don’t always provide much value in actually guiding our instruction on a day-to-day basis. Sometimes, we must do what we are told because, at the end of the day, we still have to make a living. You can’t minimize the time spent on those required formal assessments. However, performance assessments will minimize your need to opt out of guided reading due to time constraints. Since performance assessments are quick, they allow you to get the information that you need daily to guide your day to day instruction. Though sight words, phonics skills, and more can be assessed through observing students as they read, some other assessments will need to be done to evaluate skills that may not be measured by performance assessments. For example, you might still need to do an assessment for things, like sight words, but you can do them less often if you are completing performance assessments. Minimizing your assessment time will help you get more guided reading lessons completed throughout the year. More guided reading lessons mean your students have more time to grow their reading skills. After students have completed independent reading, it’s time to zone in on reading comprehension. This can be done with a prompt or by simply asking students to tell you about the book in their own words. You only need a few minutes dedicated to this part of the lesson to make sure that they understood the story. About ten minutes, give or take, should be used towards activities that support reading growth. 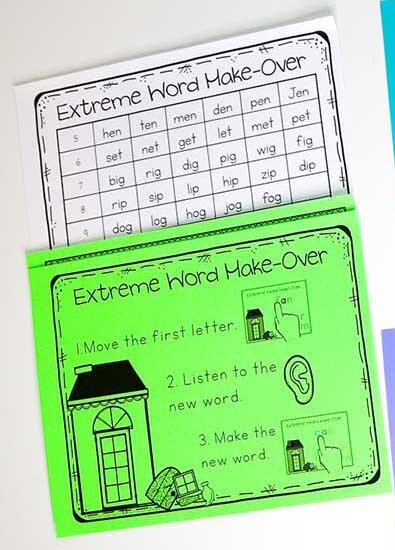 These activities should include guided writing, word work, or phonemic awareness activities. You don’t have to include all three components with each lesson, but it is good to include two if time allows. You can also make a schedule, alternating between activities, to make sure you are covering them all on a regular basis. Guided writing is not the same as writing workshop. 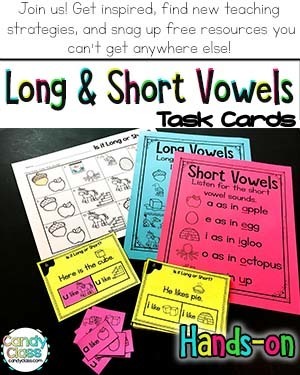 It should consist of a dictated sentence that incorporates sight words and graphemes that students are currently working on at their reading level. 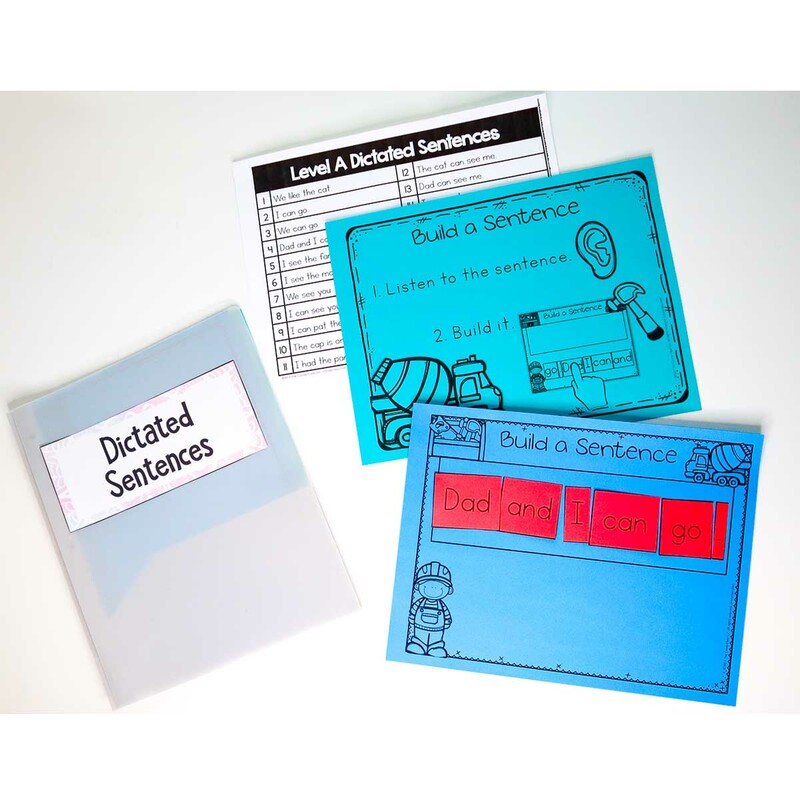 On the first day, students can build the dictated sentence. 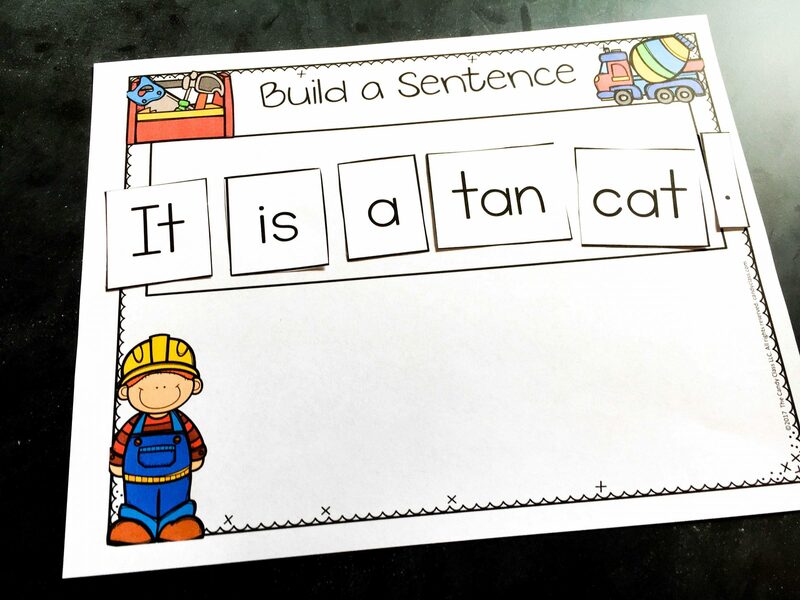 The next day, students can write the sentence with support. You can also have students write the sentence without support if you think they need more challenge. 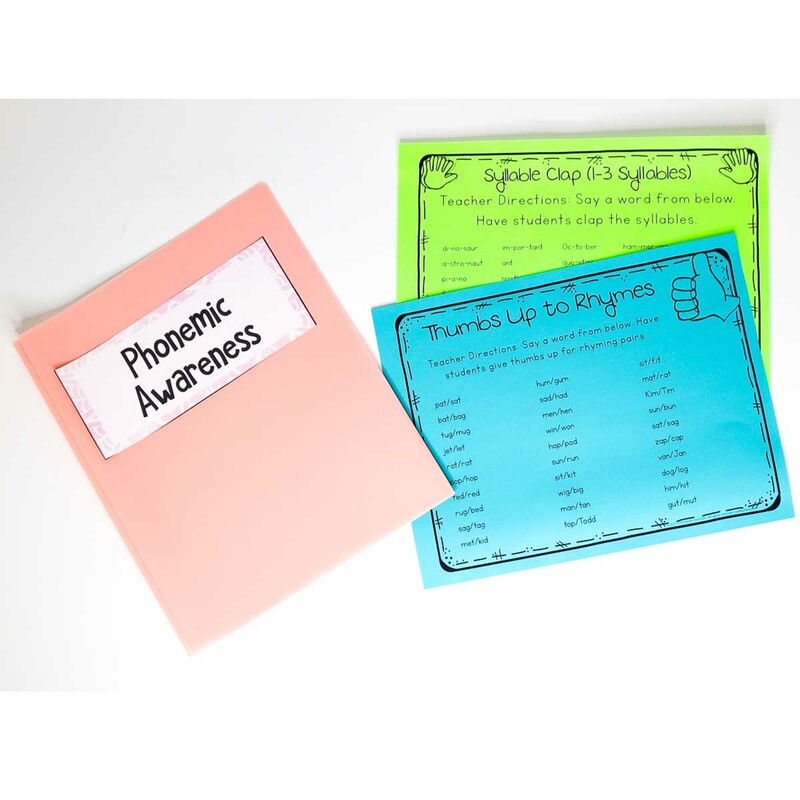 Phonemic awareness activities play an important role in supporting reading growth. If students have not mastered their alphabet, this is the time to work on that with them. 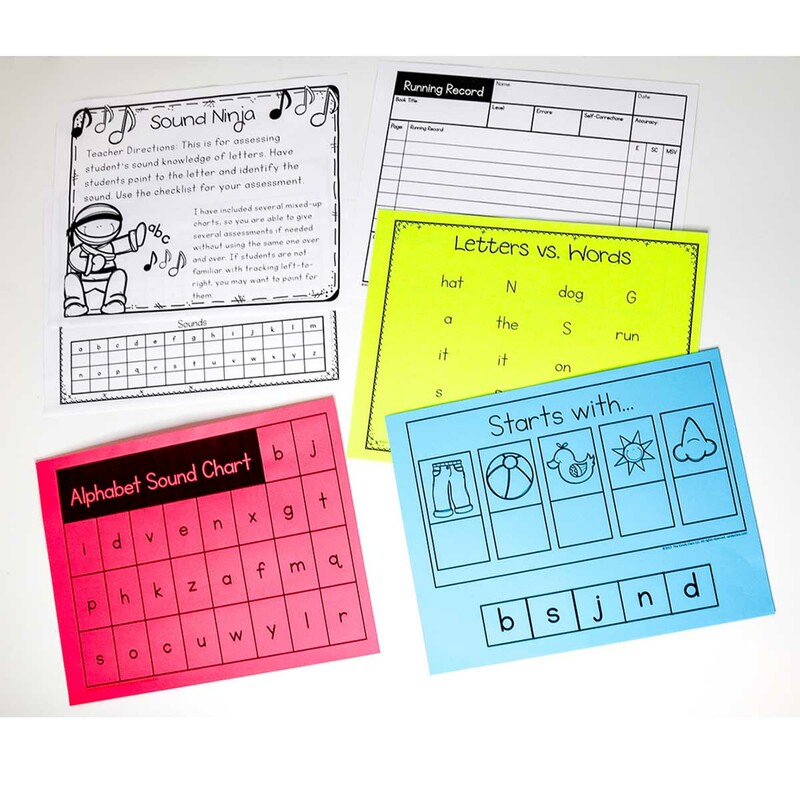 Alphabet charts are a quick and easy tool that can be used to reinforce letter recognition and sounds. Alphabet books are another great resource. 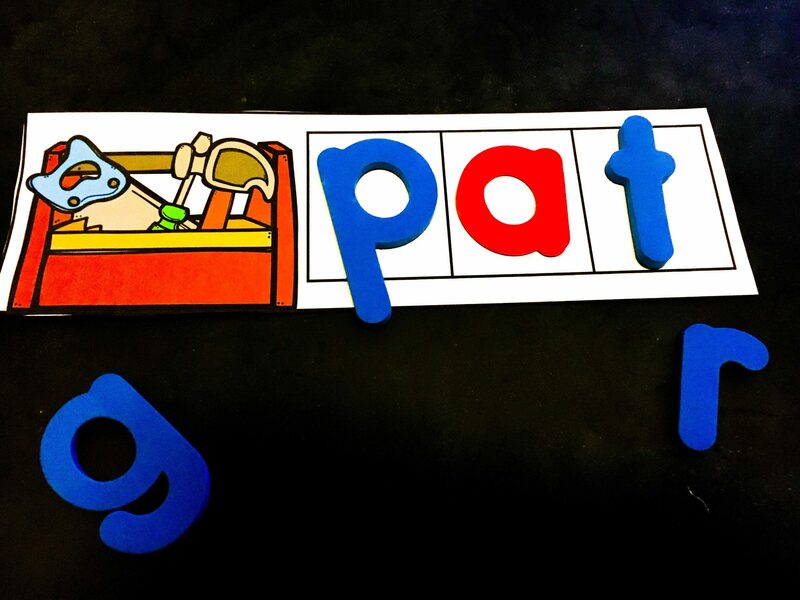 You can make it tactile by having students trace the letters with their fingers. 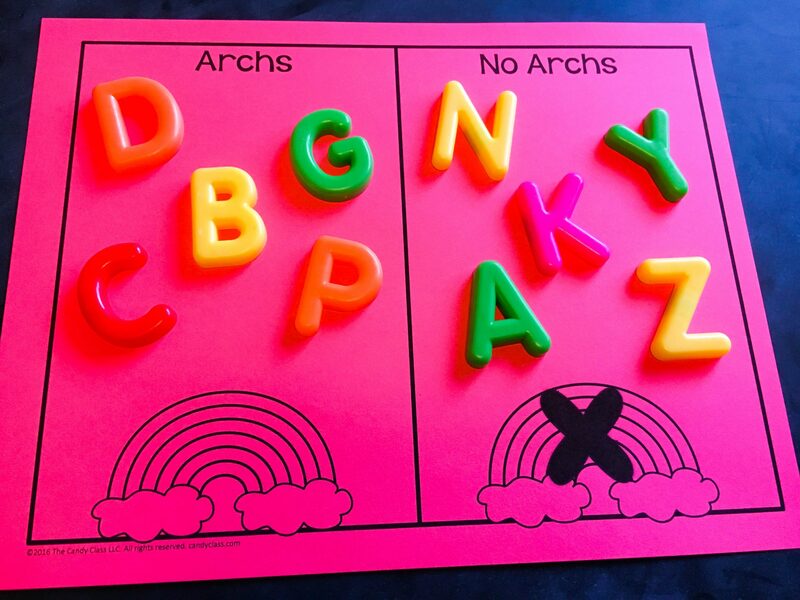 During alphabet activities, you simply focus on a letter or two at a time. It is always best to start with the letters in a student’s name if they don’t already know them. 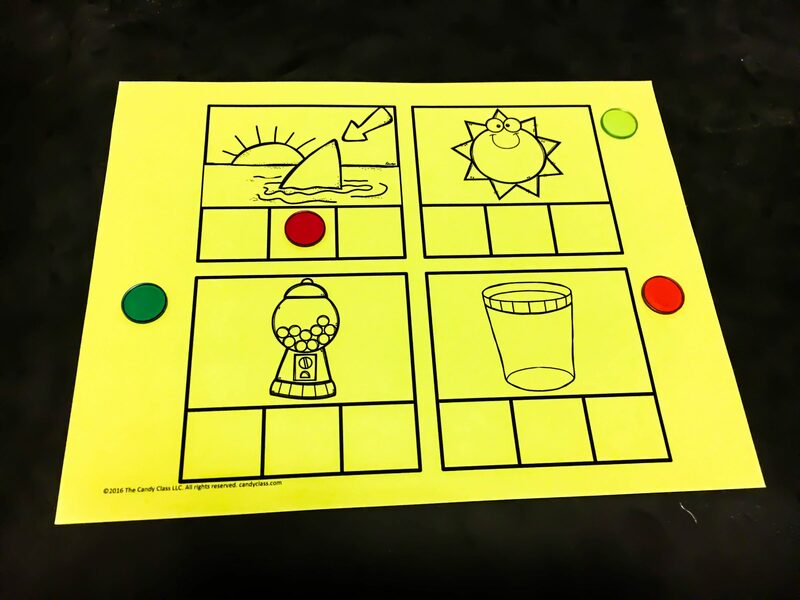 Other phonemic awareness activities should include rhyming and syllable activities. Asking students to identify words that rhyme by putting their thumbs up is a quick activity that can be done in a minute or two. Another effective activity is to have students clap out syllables. Word work tasks are also an important extension to support students with understanding phonics concepts. As a tip, I like the concept of using mats because they don’t involve prepping and managing a million pieces. They are easy to whip out quickly and to put away too! Plus, they are still hands-on and engaging. Some examples of word work activities include subbing sounds. 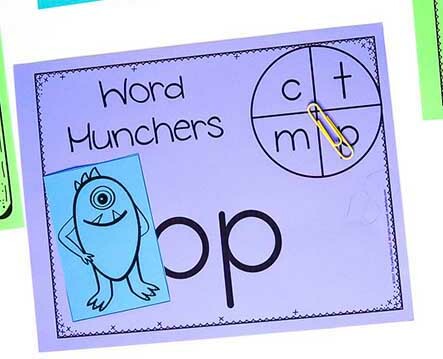 This word munch activity has students spinning for a letter, covering up the first letter in the word, and substituting the sound with it. 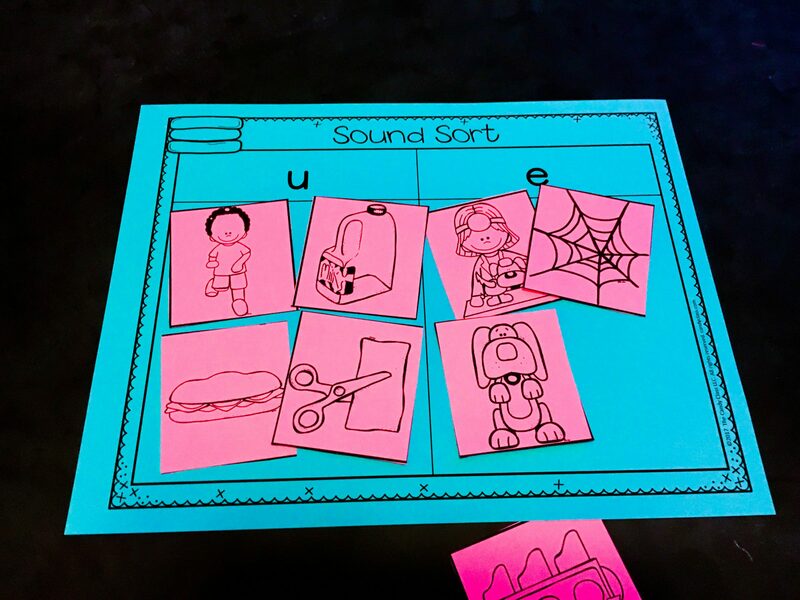 Another activity is to have students sort pictures by sound. You do need picture cards for this activity, so it does involve a little prep. If you laminate them, you can reuse the pictures cards for sorting every year. Word building is also a good activity to use for word work. 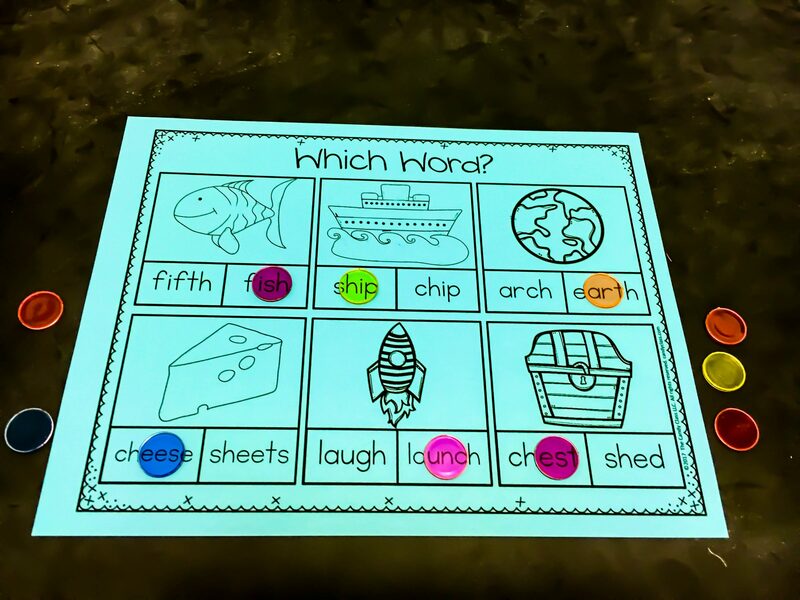 You can actually use this activity to practice sight words too. Word work can be having students swap out letters for other letters to create a different word. I like to call this Extreme Word Make-Over. For example, sad gets changed to bad. Then bad gets changed to pad. Pad then gets changed to pat. Then pat gets changed to bat. This reinforces the concepts of beginning, middle, and ending sounds. 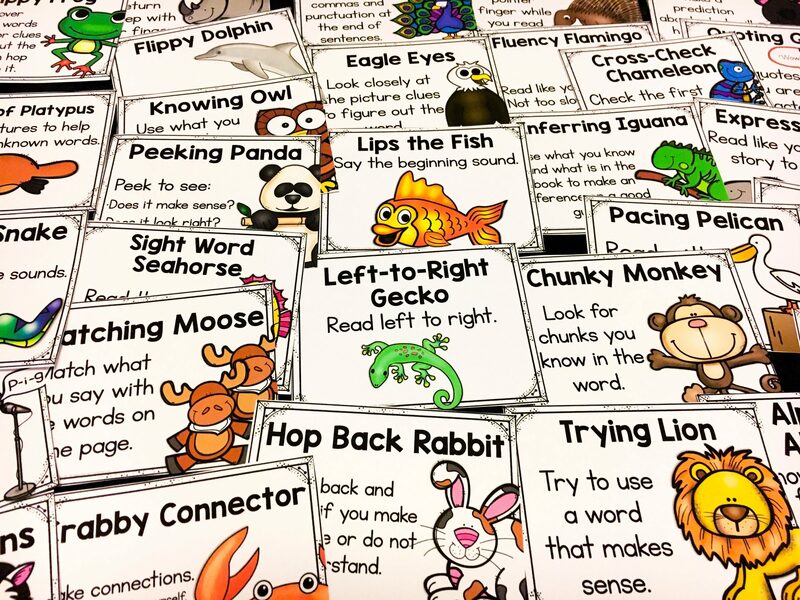 These activities will help students strengthen their word decoding and word recognition skills. It helps students extend the guided reading lesson with guided writing, word work, and phonemic awareness activities. 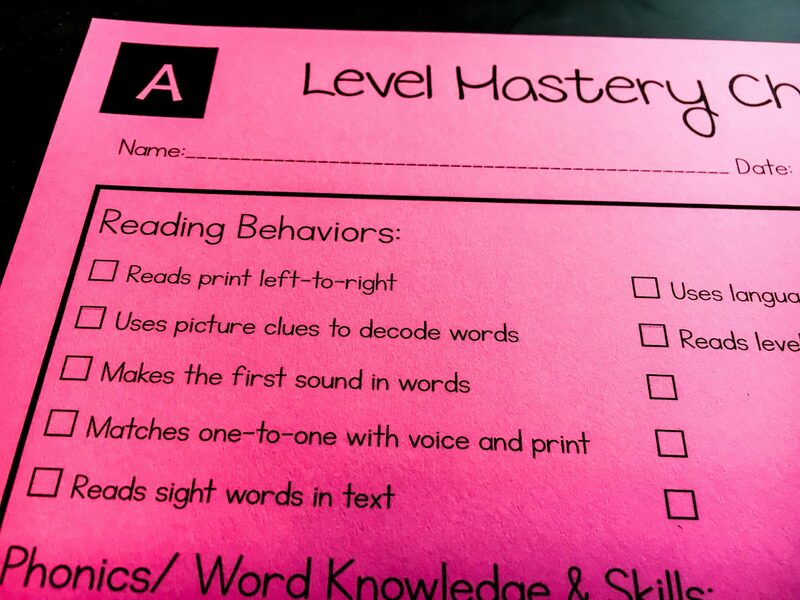 Having a mastery checklist for each reading level will easily guide you when it comes to pairing students with the right reading level. Between occasional assessments and performance assessments, you can check off what students have mastered using this mastery checklist. Simply bump students up when they have sufficiently mastered that reading level. Keeping routine and consistency with these practices each day will allow students to grow their reading abilities. It’s important to constantly monitor progress and regroup as needed to best support student learning and growth. 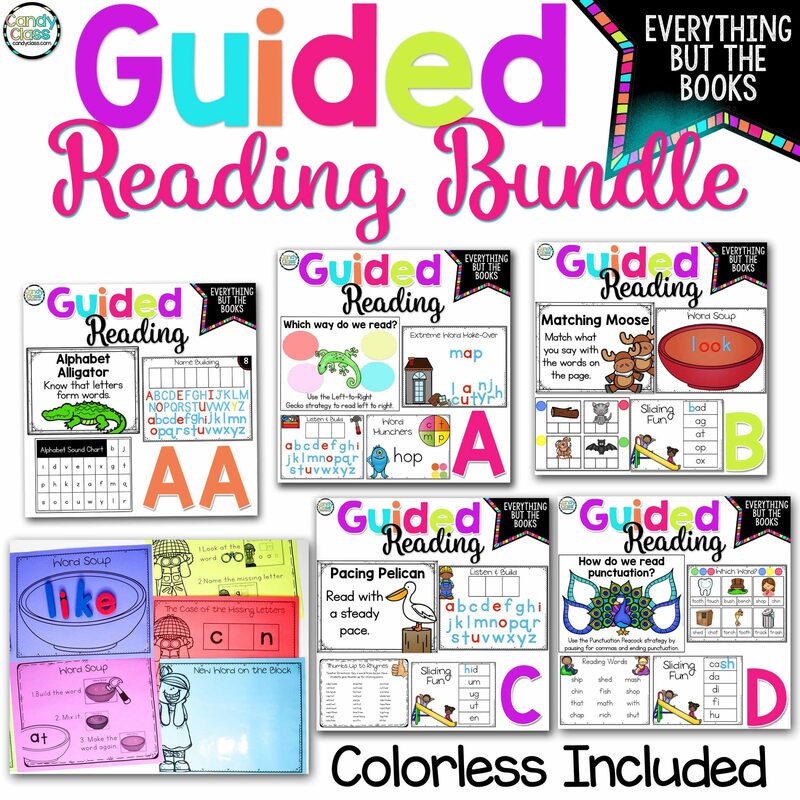 To better support teachers, I put together a resource that includes all the activities and tools needed for guided reading levels AA-D in one large mega bundle. It includes everything, but the books! Literally, it is full of over 1,700 pages. There are many activities in a one page mat format. I tried to keep it as low prep as possible without compromising on the quality of the activities. Click here or the bundle picture to follow the link to the resource. It is my hope that this bundle will help support teachers through planning and teaching guided reading to their students. It was created with a lot of love. 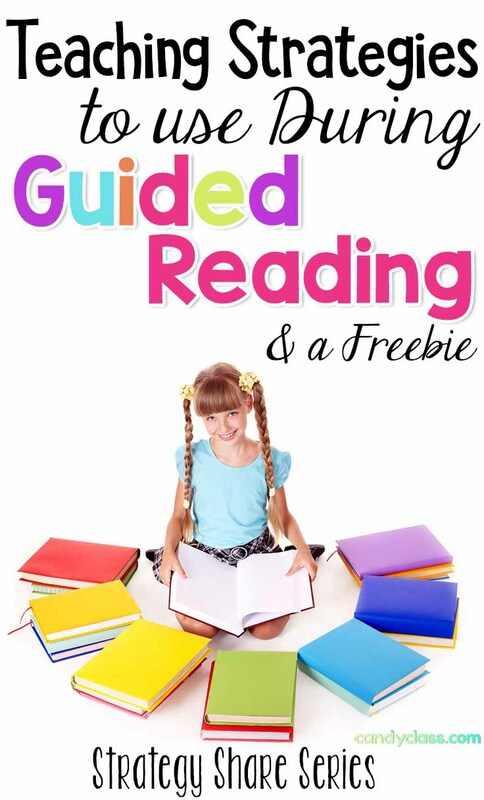 If you would like to test drive my guided reading bundle, I have a decent size sample that you can receive for free when you sign-up for my free newsletter. You can do that here. Make sure to check your downloads folder for it! Click here to sign-up! Also, make sure to check out some of my other guided reading posts here, here, and here. Now before I close out, I also want to let you know about my free tech course. 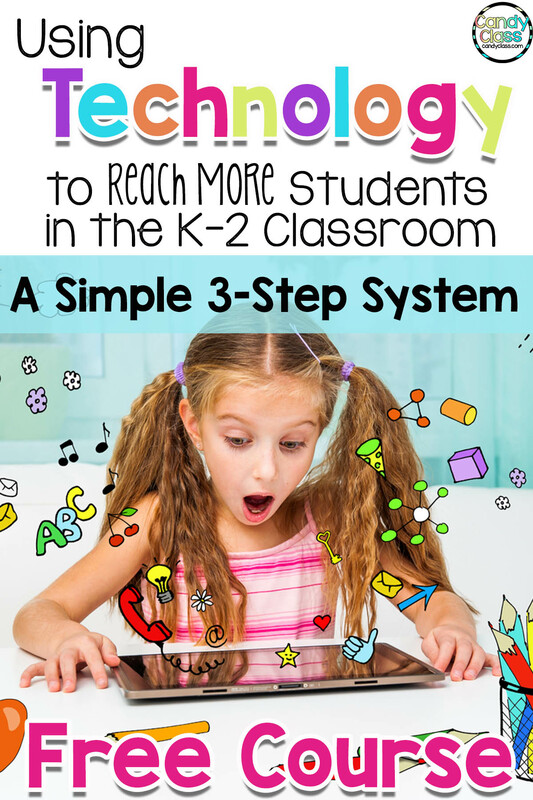 This free course shows you a simple three-step system for setting up the use of technology in your classroom. With the abundance of tech options out there, it can get overwhelming in the primary grades. The key is to wisely pick just a small amount of tools and add on from there later on if desired. This course will help you get a system in place, includes some free tech resources to utilize with the system, and even includes short student tutorials to get your class on board. Find more information about it here. Thanks for stopping by The Candy Class. Be blessed! Hi everyone! Today, I wanted to share some teaching strategies for teaching story elements. These ideas are meant to pair with fiction read alouds. Although, I will offer some ideas for guided reading too. I also will include a freebie to help implement these ideas. First, let’s go over the basic story elements that you would teach in a kindergarten or a first grade classroom. These elements are the characters, setting, and plot. The plot can be easily taught with a simple summary of the beginning, middle, and end or B-M-E. You may be familiar with the five finger retell that includes character, setting, and three details from the story or B-M-E. If not, now you are 😉 Now, let’s jump right in! It is important that students are able to identify the main character in a story. One way to make this concept visual is by illustrating the main character as huge and the other characters as small. It’s a visual that will help young learners because they are very concrete with their thinking. Then when they are reading, they can try to picture who is the big character in the story. This will help them to understand the roles the characters play in a story. Have students pretend they are a character in a story. 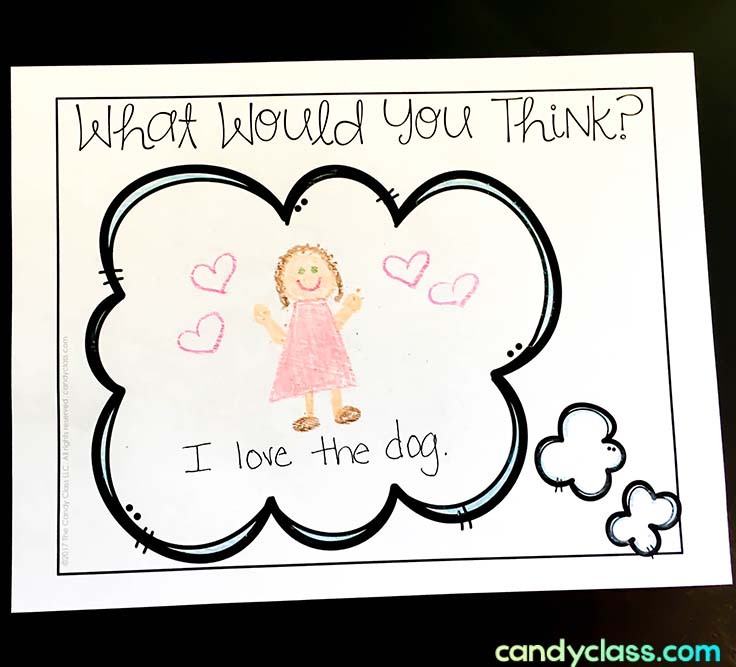 Ask the students, “What would you think if you were the character?” Have students either illustrate or write their thoughts on a thought bubble. For fun, you could take a picture of the student, cut it out, and place it on a bulletin board with the thought bubble. Section off areas for the characters, setting, and B-M-E on a board or chart with arrows between each section to connect them. Then lead students to draw up the characters. Place some of them on the chart (all if you have room). The other students can put the sticky on their shirt for fun. Lead students to discuss the characters as you create the sticky map. Do the same for the other story elements. Divide the class into teams B-M-E. Each team focuses on drawing up that part of the story with the characters, setting, and event taking place. If you have a rather large class, you might want to do more than one mural. Once done, have each team present their part of the story. If you want to organize it more, you can assign students each a roll for each team such as character illustrator, setting drafter, story teller, and so on. Yes, this is something that has been around for years, but I also think it is something that has been well forgotten in the last decade or just not used very often! Puppets are a fun way for students to retell the plot of a story, identify the characters, and recreate the setting. With this, have students make the character puppets. They can simply draw them up and attach to a popsicle stick. Then have students illustrate the setting. Students can work in pairs if you like with this project or even in a small group. Then let students retell away using the five finger retell strategy. (Note: I found these awesome popsicle sticks with a sticker that make it easy to have instant puppets. I bought the colorful ones locally in a craft section of a store near me. I could only find the plain ones on Amazon. 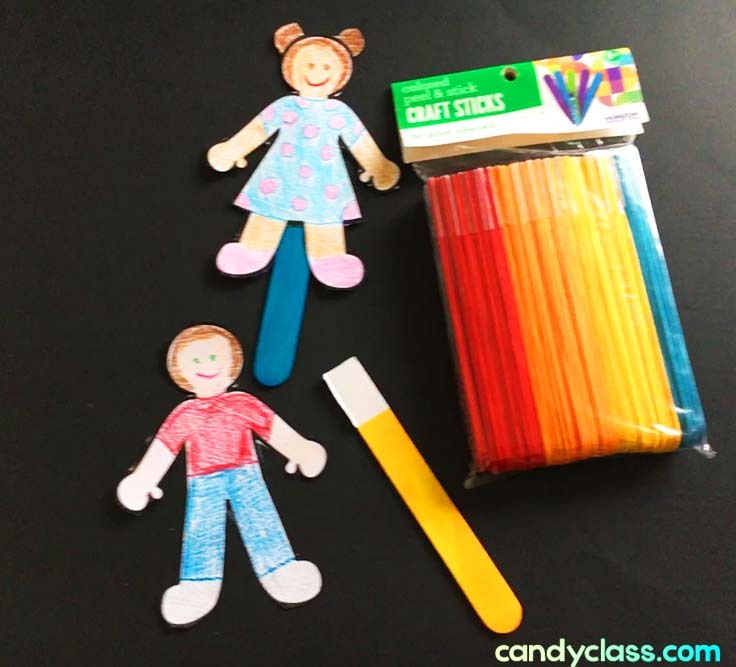 You can find those here: Jumbo Craft Popsicle Sticks with Self-Adhesive Tips Please note, this is an affiliate link that is of no additional cost to you and that pays me a very small commission that goes toward the monthly costs to host this blog. Okay, totally very common, I get it. However, these are very important, so I had to include it. Plus, I include a graphic organizer in the free download for you, so if I included it there, I had to cover it here. 🙂 Now graphic organizers can vary. Some can just focus on the character. Some can just focus on B-M-E. Some can incorporate all of those. When you are first introducing story elements, it is good to just zoom in on the characters. Who is the main character? Who are the other characters? Then branch out to the setting. Where did the story take place? When did the story take place? After that, you can branch out to B-M-E and start to dig deeper into character traits. Here is the free story elements resource. I hope you enjoy it! Just fill out this form to grab it. If you are already a subscriber, simply fill it out again to have it sent to your email too. Hi everyone! What are some practical strategies you can use during guided reading to help streamline your lessons and keep students moving forward? Today, I want to share some practical teaching strategies with you that answer that question. I also have included a few freebies, so you can apply these strategies right away. Another way to make the strategy memorable is by using a fun character theme. Many of us are familiar with Lips the Fish and Eagle Eyes, but I realized there were other skills to be teaching students that did not have a memorable character or lacked an action-oriented strategy to develop that skill all together. I got creative, and came up with some strategies with fun names. For example, students need to learn to read left-to-right, so now there is the Left-to-right Gecko…and my son helped me name that one, hehe! Love my sweet boy! Matching Moose is another one. This one is simply to teach voice-to-print, so students are matching the words on the page with what they are reading. When it comes to teaching students to read, it is important to guide the students to apply a strategy instead of just telling them a word. Have questions handy to prompt students to apply the strategies as they read. It is important to keep what you say to the student very brief, so you don’t interrupt their connection within the text. It’s like you want to be that little voice in their head, so just a simple short question or statement is perfect. Then let them read on. If you notice, it does not really say anything about being awesome or doing a good job. The action the student took was what was summed up. This reinforces the student’s behavior. This will help them to acknowledge the action they took, so they can remember to use it for next time. Once a student shows proficiency with a strategy, reinforcement will not be needed. There will be other strategies the student will be newly learning. so those are the ones to focus on with reinforcement. There is no need to interrupt guided reading constantly with constant formal assessments. (Unless you are just required to do that, which is unfortunately the case way too much.) Performance assessment are your BFF when it comes to guided reading. You are able to keep the guided reading lesson flowing, and glean the information you need on each student. I absolutely have always loved using checklists during guided reading. Honestly, this helped me to focus more on the student’s too! If I just sit there, I will day dream accidentally. I am seriously ADD, so to focus, I need something in my hands. I can’t be the only ADD teacher out there, haha! But with all seriousness, you can get constant information about your students through performance assessments that will help you to group your students, match texts to them better, and know what you need to be reteaching students. Running records are another performance assessment you can use during guided reading too. From your observations, you can make some notes on what to focus on next time. Did they apply that new strategy you just taught adequately? Maybe you need to reteach it. Did you notice a reading behavior that is a struggle for them? Use that information to select the next strategy you teach them. Does one student in the group seem to be struggling with a strategy that the others are not struggling with at all? Make a note to focus in on prompts for that strategy as that student is reading. Now sticky notes are great for jotting down these ideas, but they can end up being a hot mess pile in no time. 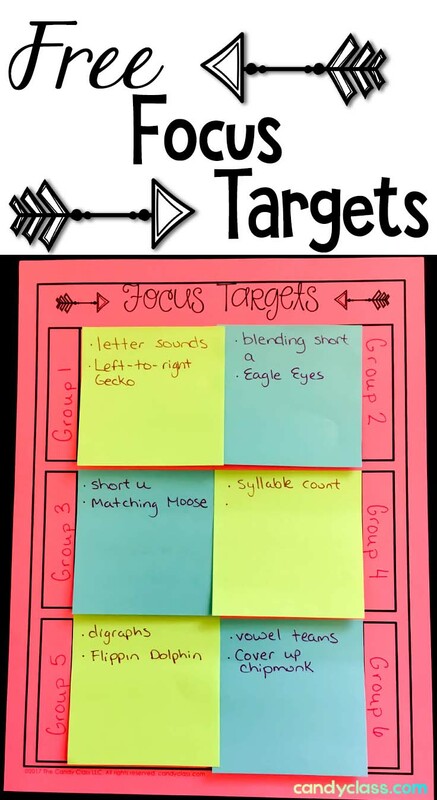 I have included some sticky note pages for you to jot down your focuses for your groups and students to keep them organized. 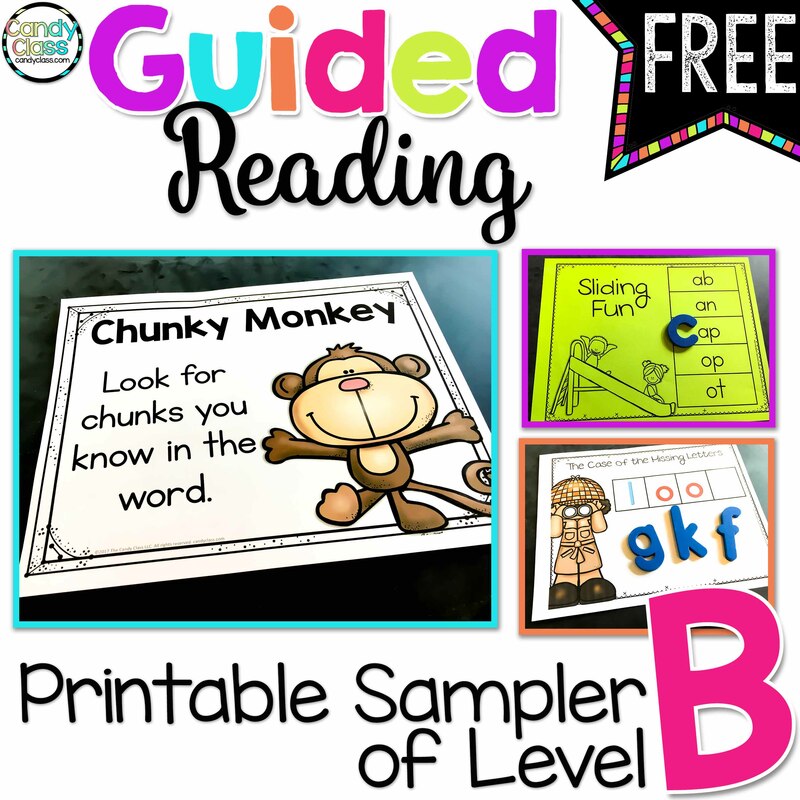 Now as promised, I have a freebie for you I mentioned earlier with the Chunky Monkey level B lesson plan. Simply fill out the form to join the newsletter to snag that up too! If you already signed up, just run it through again to get it sent to your email too. Just click here to grab it. Thanks so much for stopping by the Candy Class! I have more Strategy Share posts geared for teaching reading and writing planned, so make sure to check your email if you signed up.